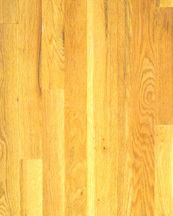 The appearance of the wood determines how it is "graded." All grades are equally strong and serviceable, yet afford the consumer different looks. OAK and ASH Basic Grades - Four(4). CLEAR is free of defects though it may have minor imperfections. 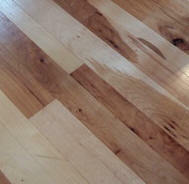 SELECT & BETTER is almost clear, but contains more natural characteristics such as knots and color variations. "Common" grades (No. 1 and No. 2) have more markings than either clear or select and are often chosen because of these natural features and the character they bring to a room. 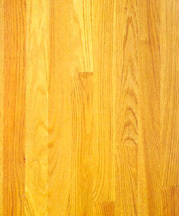 RED OAK # 1 Common has a variegated appearance, light and dark colors, knots, flags and worm holes. 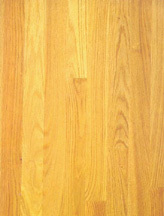 RED OAK-# 2 Common is rustic in appearance and allow all wood characteristics of the species. "First" has the best appearance, natural color variations and limited character marks. 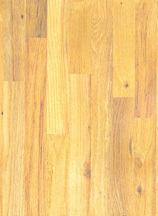 "Third" is rustic in appearance allowing all wood characteristics of the species.